The fifth commandment tells us: "Honor thy father and thy mother." Since we already gave the dads their due for Father's Day last year, it's only fitting that we show the same courtesy to the moms. 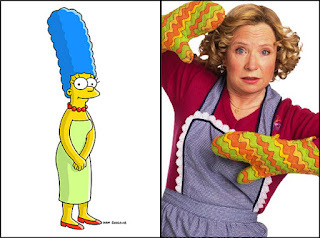 This episode is dedicated to two of our favorite TV matriarchs - Marge Simpson of The Simpsons and Kitty Forman of That '70s Show - and the exploration of sitcom motherhood in all of its husband-tolerating, offspring-embarrassing, and family-bonding facets. We're ready to declare ourselves full-fledged mama's boys with this Mother's Day special! "Kitty and Eric's Night Out"